We have all been there. Those days when social interactions of any kind keep you from progress. Do not get me wrong. Social interactions are not at fault here –No Software Developer is an island–. But they can get in the way. Sometimes you just have to block everything out in order to get that brain chemistry right. Progress requires dedication, excellence requires sacrifice. Great software is the result of great thought process. Yes, sometimes the help of a team to bounce ideas around like you are a member of the House MD show comes in handy, however when operation time comes up, there is only one surgeon. A flawless execution requires a total concentration. A superior grade of commitment to excellence. 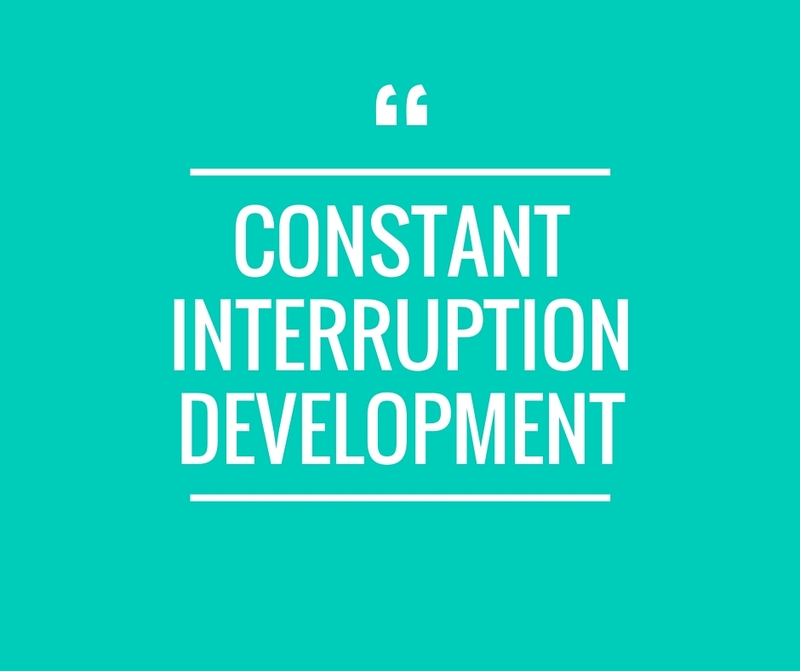 That’s the reason why Constant Interruptions are not cost effective. So what can I do to stop interruptions? Learn to say NO. It is not rude. It is not unfare, and it is not something that cannot be forgiven. In order to create and deliver on time you have to learn this particular skill. This and also time management. A lot of time management. Also Lifehack.com has a great article about how to handle interruptions like a pro.